Did you miss out on the last Snyder’s Riders Monthly Tune-up Newsletter? Catch up on some tips from last month here, and see what’s ahead for August. Join today to receive future updates right to your inbox. Summer is still in full gear, so remember to prepare yourself and your bike for any and all travel. Before anything, inspect your bike. Check tires and wheels, controls, lights, oil, chassis (the base frame), and the kickstand (think of the acronym T.-C.L.O.C.K.S. – Courtesy of the Motorcycle Safety Foundation). If you’re packing any form of luggage on your bike, be sure that it’s secure and doesn’t obstruct any bike controls or mechanisms, especially your lights. There’s nothing worse than leaving for a long ride only to find out that your bike wasn’t prepared to make the trip. R – Stay relaxed and refreshed. E – Make sure you’re equipped with full and proper riding gear. A - Anticipate likely activity and potential threats. Be prepared for increased holiday traffic, distracted drivers, construction zones, weather conflicts, etc. D – Be drug, alcohol, and distraction free. Reminder – over 40 percent of motorcycle fatalities are related to some type of impairment, including medications that may affect your riding abilities. Y – Be prepared to yield to aggressive drivers. Ultimately, it is YOUR attitude that determines how you ride. It doesn't pay to be “right” if you are the one paying the price! Also consider the helmet laws of other states you may travel through. Remember, while we have specific exemptions allowing freedom of choice here in Pennsylvania, a properly fit DOT helmet is still our number one recommended piece of riding gear! Finally, allow extra time to reach your destination. Leave yourself extra time to deal with any “unknowns.” If you’re tired, pull off the road and reconsider your plans. Driving “zoned out” is no way to enjoy your ride, let alone ride safely. Above all, enjoy your time in “the saddle” by considering these basic tips. That way we can all Ride Alongside this summer travel season! Honda Goldwings (model years 2006-2010) are now a part of the massive Takata airbag recall. These airbags can rupture and propel shrapnel at the rider. 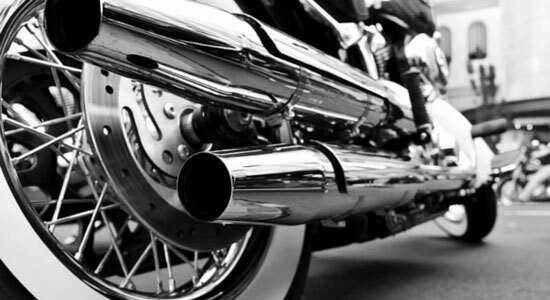 See if your motorcycle is affected by checking your VIN or by calling your motorcycle dealership/service location. Join Snyder's Riders today to become part of a unique rider-driven initiative intended to spread the motorcycle safety message. It’s free to join, you can win prizes, and you have access to some great benefits. What are you waiting for? Get in the game today.